Melt the 1 1/2 sticks of butter in a small pot over medium heat until it's brown and gives off a deliciously nutty aroma, roughly 20 minutes. Strain (using a paper towel over a mesh strainer) - you want to leave the solids behind. Beat the eggs and salt with a whisk attachment until it doubles or triples in size - approximately 3 minutes. Continuing to mix on high speed, slowly add the sugar in a steady stream. Whip for 2 minutes or until mixture is thick and ribbony. Sprinkle the flour on top of the egg batter, and gently fold in. Now fold in the butter mixture. Only stirring enough to bring everything together. 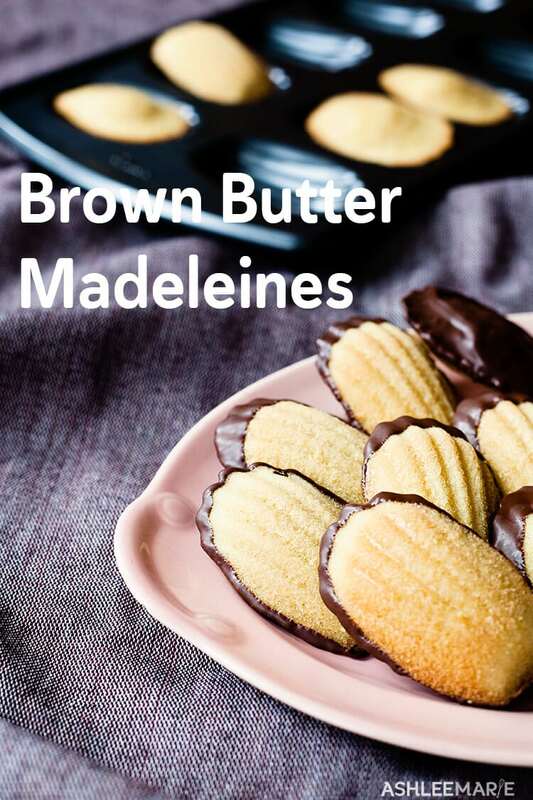 Spoon the batter into the molds, bake the for 12 - 14 minutes (7-10 minutes for smaller cookies), or until the edges of the Madelaine's are golden brown. Remove from oven and un-mold immediately. 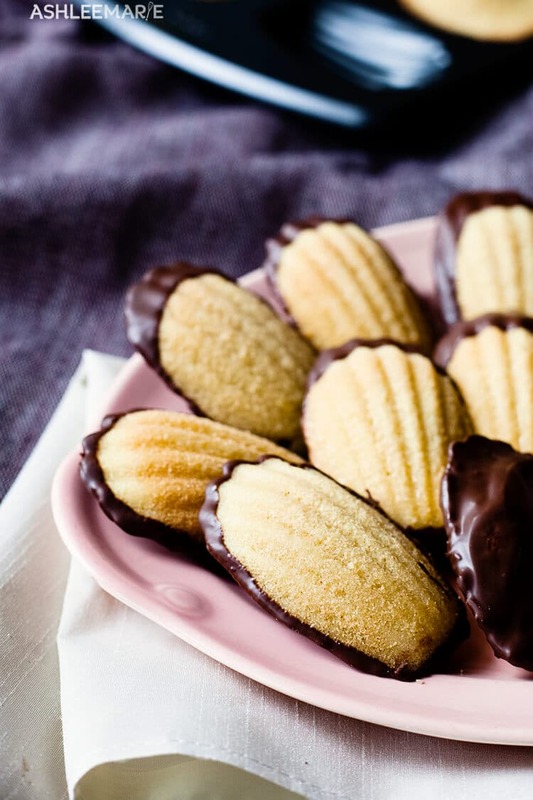 How many Madeleine’s does this recipe make? They look delicious! I just made them in a 24ct mini muffin pan… it made 36. They are so tasty!! I just pulled these out of the oven & they are amazing!! I didn’t have the fancy pan, but I had a mini muffin tin that holds 24. The recipe made 36. I love how simple the recipe is and how delicious they are!! Thank you so much!! Can u suggest a good egg substitute for this recipe ? I don’t specialize in egg free recipes so I wouldn’t even know where to begin, I’m sorry. 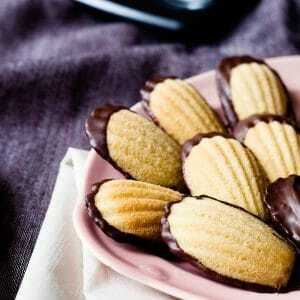 Can’t wait to try these for a friends tea I’m having in October. A Madeline pan is one of my many many pans I bought while working at Williams Sonoma for 6 years. I love using browned butter. My pecan pie has browned butter and I th8nk that is why it always taste different than other recipes I’ve eaten. I agree, browned butter is the best! let me know how it goes!! !